Chinese President Xi Jinping applauds during a conference to commemorate the 40th anniversary of China's Reform and Opening Up policy at the Great Hall of the People in Beijing, Tuesday, Dec. 18, 2018. At a “democratic life meeting” in Beijing, the Chinese president spoke in various ways of struggling. According to the CCP’s official definition, published in January 2017, a “democratic life meeting” is a “fundamental form of political life within the Party.” It’s an important tool to “strengthen intra-party democracy and supervision and solve conflicts and problems by Party cadres alone.” It’s a “magic weapon” to guarantee the Party’s unity and purity. In the form of “criticism and self-criticism,” each attendant of a “democratic life meeting” is supposed to write down their own problems and criticize themselves publicly so as to “achieve union and solidarity.” In theory, attendants are also free to criticize their superiors and peers in a “democratic” way. The CCP’s tradition of “criticism and self-criticism” can be traced back to the Yan’an Rectification Movement — an ideological mass movement initiated by Mao Zedong in the early 1940s. Through the Yan’an Rectification Movement, Mao consolidated his power within the CCP. After Mao’s death, the CCP still held the “democratic life meeting” periodically. One significant “democratic life meeting” was held in 1987. In this meeting, Hu Yaobang, former top leader of the CCP, was ousted from power under criticism on his reform program. But over the next few decades, such meetings seldom took place. In 2015, the Political Bureau of the CCP Central Committee held a two-day “democratic life meeting” in late December over which Xi himself presided. Since, such meetings have become routine again. Rather than promoting “intra-party democracy,” the “democratic life meeting” led by Xi seemed to function as a way for him to tighten his control over the CCP Central Committee. The 2017 “democratic life meeting,” for example, highlighted “Xi’s core status,” as China’s state news agency Xinhua put it in its English version. However, what Xinhua’s English version omitted was Xi’s unusually strong remarks. “[The revolution] demands us to carry out a great struggle with many new historical characteristics,” he added. However, Xi neither elaborated on the concept of the “great social revolution” nor clarified what those “ major struggles” exactly are, according to Xinhua. It’s worth mentioning that it’s not the first time Xi used such alarming terms in recent weeks. 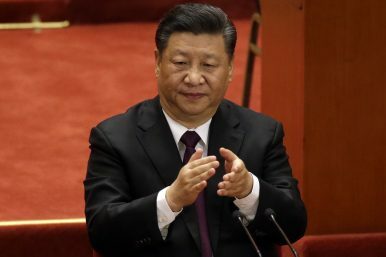 Xi’s remarks, including “unimaginable terrifying tidal waves and horrifying storms,” “great social revolution,” and “major struggles,” imply an increasingly uncertain future for China. Will Xi Jinping remain in charge after 2022?